Ever since I bought myself an iPad Pro, my calligraphy skills have seen so much improvement. I just love that I can practice for hours without having to waste paper, or change nibs, or keep dipping into ink. It has also greatly improved my work flow because I don’t need to scan my calligraphy anymore, I just export the file, do an image trace on Illustrator, and I’m done! That being said, there are times when a project just calls for a style of calligraphy that I haven’t mastered yet, or one that is very different from my own style. For those times, I use premium fonts (and I have a growing collection of over two thousand of them). One of the hardest fonts to find are those that mimic fine calligraphy. If you’re an enthusiast, you will know what I mean! These are calligraphy styles that use pointed nibs and require the utmost skill and control. (I’m not there yet, but I’m working on it!) They also look very beautiful and elegant, and would be perfect for weddings, and wedding-related brands. 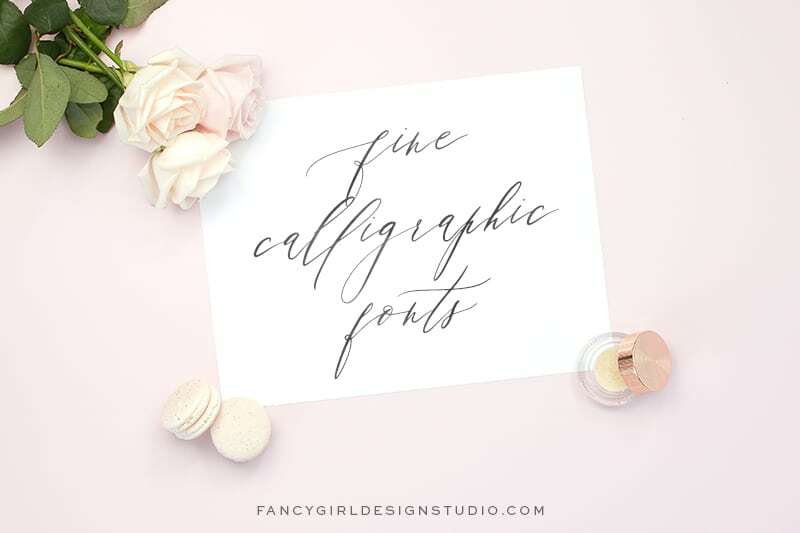 I did a roundup of 8 of the most beautiful fine calligraphic fonts currently available. These really look like they’ve been hand-written by a master calligrapher; and contain swashes, stylistic alternates, and ligatures. If you have an open-type aware application like Illustrator, you can have the full range of options. 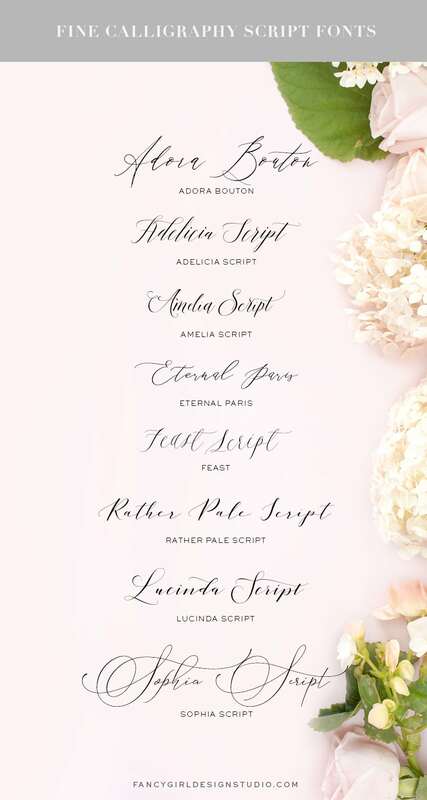 My top 3 favourites are Adora Bouton, Sophia Script, and Eternal Paris. I’m itching to use Sophia Script in a branding project, but I haven’t yet found the perfect fit for it. It’ll have to be a very fancy and romantic brand – maybe a floral designer for upscale weddings? Oh, and it would look utterly gorgeous in a wedding invitation! They all would, as a matter of fact. Here are the links to purchase each of the fonts. Let me know which ones are your top picks!